One of the more powerful and influential New Jersey underworld figures of the Prohibition Era and beyond, Abner "Longie" Zwillman became known as the "Al Capone" of his state. A political powerhouse in the Newark area, Zwillman amassed a fortune through rum-running, gambling and coin-operated machines. He was regarded as generous with friends and underworld associates. But his downfall was his stinginess with Uncle Sam. Zwillman was born July 27, 1905 (some records indicate 1904 with a correction to 1905) in Newark, New Jersey. He was one of seven children born to Reuben and Anna Slavinsky Zwillman, Russian-Jewish immigrants. Reuben, born about 1870, entered the U.S. in 1900 and found work as a peddler and later as a real estate broker. Zwillman was raised in one of Newark's poorer neighborhoods. His family resided at 18 Hillside Place in 1910, at 96 Waverly Avenue (now Muhammad Ali Avenue) until about 1916 and then moved to 259 Broome Street. In his youth, Zwillman likely joined up with neighborhood gangs engaged in petty crimes and primitive protection rackets. Taller than average height - he eventually topped six feet - he acquired the nickname "Long." Over time, the nickname grew to "Longie." Zwillman reportedly attended grammar school until the eighth grade and did not graduate. Zwillman's departure from school roughly coincides with the disappearance of his father from available records. The 1927 Newark city directory notes that Abner's mother, Anna Zwillman, was by then a widow. In the late 1920s and early 1930s, as Zwillman advanced in rank within the Newark underworld, he resided on Shanley Avenue and Goodwin Avenue in Newark. In that period, he had his first brushes with the law. He was arrested by the Newark Police Department on March 8, 1927, for assault and battery. The charge was later dismissed. In November 1928, an additional charge of assault and battery was filed against him, this time by the Essex County Sheriff's Office. Zwillman managed to remain free until December of 1930. He was convicted on the charge on Dec. 11, 1930, and was sentenced to six months in Essex County Penitentiary and a $1,000 fine. The stay in prison was not entirely uncomfortable, an indication that Zwillman was already an influential figure in New Jersey. According to press accounts, Zwillman was given use of a telephone in his cell, was permitted visitors at all hours and treated to meals from outside the prison walls. Upon his release, Zwillman gave cash gifts to a number of guards and sent a new car to one prison official. Zwillman traveled quite a bit and often met up with other racketeers in areas such as southern California; Las Vegas, Nevada; and Hot Springs, Arkansas. Links to Jewish racketeers were particularly strong - he counted Buchalter and Siegel among his closest friends. He reportedly lived with Siegel in California for a time. He helped finance various underworld rackets, lending large sums to rum-running syndicates during Prohibition. Zwillman reportedly offered a sizeable reward for information into the 1932 abduction of Charles Lindbergh Jr. from his East Amwell, New Jersey, home. According to the story, Zwillman went so far as to meet with individuals who claimed to have information and to offer them money before he learned that they were, in fact, engaged in a con-game. He later explained his offer of a reward as a plain business decision. With heightened police scrutiny of vehicles throughout the state in the wake of the kidnapping, he could not be certain that his alcohol-carrying trucks would not be stopped and searched. With the end of Prohibition, Zwillman moved to 120 Hansbury Avenue. He resided on South Munn Avenue in East Orange from 1936 to 1946. During that time, he married Newark native Mary Mendels Steinbach, previously divorced mother of a five-year-old son named John. The July 7, 1939, wedding included a lavish reception, attended by 300 people. A press account indicated that most of the attendees were racketeers from eastern U.S. criminal syndicates. The newly married Zwillmans took a honeymoon lasting 40 days before they, Mary's son and Mary's father Eugene settled back in East Orange. Almost immediately, Zwillman found himself facing a federal contempt of court charge. Called as a witness before a Southern District of New York grand jury looking into the disappearance of Lepke Buchalter, Zwillman was asked about his business and business associates. He refused to answer the questions. Judge Johnson J. Hayes found Zwillman in contempt and sentenced him to six months in prison. The conviction was overturned on appeal. The Zwillman family, including Abner, his wife, their daughter Lynn Kathryn (born about 1943), a stepson John Steinbach and father-in-law, moved to 50 Beverly Road in West Orange in 1946. Costly improvements made to the twenty-plus-room English-style stone structure in the following years caught the attention of federal investigators, who determined that the improvements could not have been paid for with the meager income Zwillman and his wife reported on their tax returns. In the summer of 1950, Zwillman appeared before the U.S. Senate's Kefauver Committee for questioning in its investigation of organized crime in interstate commerce. 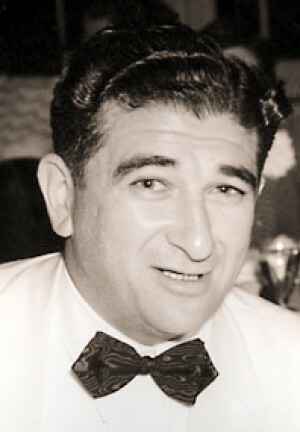 At that time, Zwillman was regarded as the boss of the New Jersey underworld, and his name had come up repeatedly in earlier testimony. His rackets included gambling operations and coin-operated vending and jukebox machines (a racket allegedly shared with Charlie Luciano). His legitimate business interests included Public Service "PS" Tobacco cigarette vending company (shared with Luciano's close friend Michael Lascari), Federal Automatic washing machine company, E&S Trading scrap iron company, A&S Trading machinery company and Greater Newark GMC Truck Sales Co. He also was an investor in the Pittsburgh steel firm, A.M. Byers Co. He was said to have considerable influence in politics and labor unions. Zwillman was reluctant to answer committee questions that could relate to an ongoing investigation of his tax returns. He admitted to previously being involved in bootlegging and to purchasing alcohol from Canada. He described some failed business ventures following the end of Prohibition, including United States Yeast Corp. and a company that made beer keg taps. He told the panel of his entry into Public Service Tobacco Company. That company had previously been owned by Joseph "Doc" Stacher and Gerardo Catena. 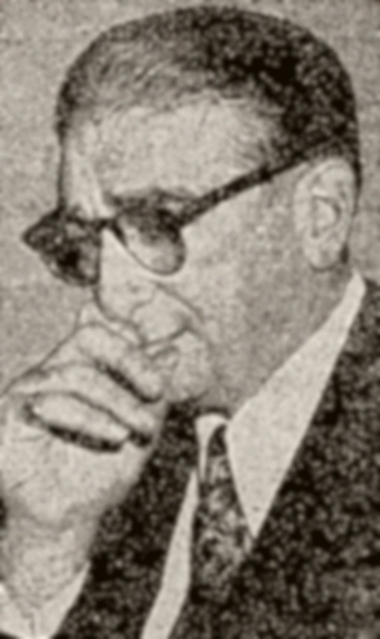 Lascari had already secured a one-half ownership of the company by 1937, when Zwillman bought into it. During questioning, Zwillman said he did not recall ever meeting Benjamin Siegel's girlfriend Virginia Hill. Hill had earlier testified that she met Zwillman through a mutual acquaintance. Zwillman insisted he did not remember the meeting and, in an apparent request to change the subject, mentioned to his questioner that his wife was listening in on the testimony. One senator asked him about his reputation as the "Al Capone of New Jersey." Zwillman acknowledged that the term had been used to describe him, but he insisted that it was not at all accurate. He accepted some responsibility for its use, as he did not take a stand against it when it first was circulated. In August 1951, as the Senate Crime Investigating Committee again sought him for questioning, Zwillman took a vacation on a yacht. U.S. Coast Guard boats and planes conducted a fruitless search for Zwillman's vessel. Zwillman was briefly noted in Newark in September, after the committee hearings had concluded. A first effort to prosecute Zwillman for tax evasion failed in summer 1953, when a federal grand jury would not indict. In the spring of 1954, Zwillman was indicted by a federal grand jury in Newark on two counts of income tax evasion. The charges related to tax returns filed by Zwillman and his wife in 1947 and 1948. Trial began before Judge Reynier J. Wortendyke Jr. in January 1956 and concluded with a hung jury on March 1. Reports indicated that a majority of the jurors felt the government's case was lacking. However, in January 1959, an FBI microphone installed at Newark's Supreme Beverage Company overheard men conversing about steps that were taken to ensure that Zwillman would not be convicted in that trial. Federal prosecutors in February filed charges against Peter Dominick LaPlaca of Hasbrouck Heights NJ, Samuel "Big Sue" Katz and Edward A. Goodspeed of North Arlington NJ for offering and paying bribes to two jurors in the 1956 Zwillman tax trial. 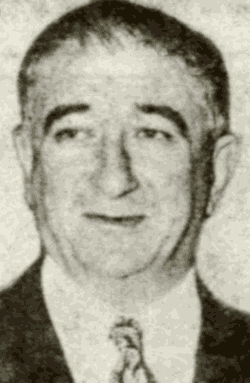 LaPlaca, known as a bookmaker and a former associate of the late Mafioso Willie Moretti (LaPlaca and Moretti were also in-laws), was charged with giving $1,000 to juror Louis J. Donadio. Katz, a Zwillman associate since Prohibition days, and Goodspeed were charged with paying $1,000 to juror Warren E. Andes through his brother, Charles Andes. A grand jury subsequently indicted the three men on counts relating to the offering and paying of bribes. On Feb. 26, 1959, Zwillman was found dead in his West Orange home. That morning at 10 o'clock, his wife discovered his lifeless body suspended from its neck by a loop of electrical cord tied to a ceiling beam in a basement storage room. A half-empty bottle of bourbon whiskey was found nearby. She told police she recalled her husband getting up in the middle of the night complaining of chest pains. Zwillman responded to her concern by having her take a sleeping pill and return to bed. Zwillman's stepson John Steinbach revealed that the racketeer had been depressed and worried about the jury bribery cases. Zwillman had reportedly battled deep depression since Senate investigators recently began examining his role in the jukebox industry. Steinbach said Zwillman was troubled by the questioning of Gerard Catena two weeks earlier. Catena took the Fifth Amendment more than seventy times. An estimated 150 mourners paid their respects on the evening of Feb. 26. Zwillman's funeral was held at Philip Anter & Son funeral home, 16 Stratford Place, Newark, the next day. An estimated 1,500 people gathered outside the establishment. Just 350 of those were permitted inside. Reporters identified Manhattan restaurateur Toots Schor and movie producer Dore Schary at the funeral. Organized Crime in Interstate Commerce (Kefauver Committee) hearings, Volume 12. New York Daily News archives. 1910 and 1940 U.S. Census.